How crazy beautiful is this Neo Baroque Chandelier? Oh yeah, it's crazy expensive too. 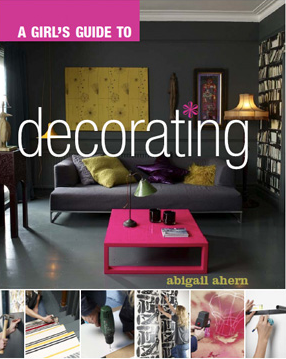 I'm thinking that designer Abigail Ahern's book A Girl's Guide to Decorating is more within my budget - or perhaps the budget of a friend or family member wondering what to get me for Christmas. Of course, if they'd rather get me the chandelier, I'm cool with that.